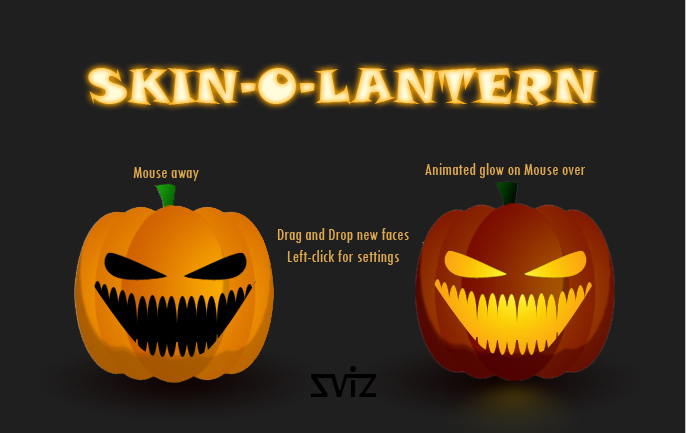 In the zip: 2 face images, 1 pumpkin image, and instructions. Left-click on object for settings. Drag and drop face images. IMPORTANT: To create and use your own face images, use black graphics on transparent background. Awesome Eve!!! The object is cool too!! This is great! It has been so long since we have had some new seasonal desktop objects to enjoy!!! Thanks so much!! !